Today we make カレーライス (Curry and Rice), which is a very popular dish in Japan. You can make it your own with just a few ingredients (the hardest part will probably be the Japanese Roux, which you should be able to find at an Asian mart). 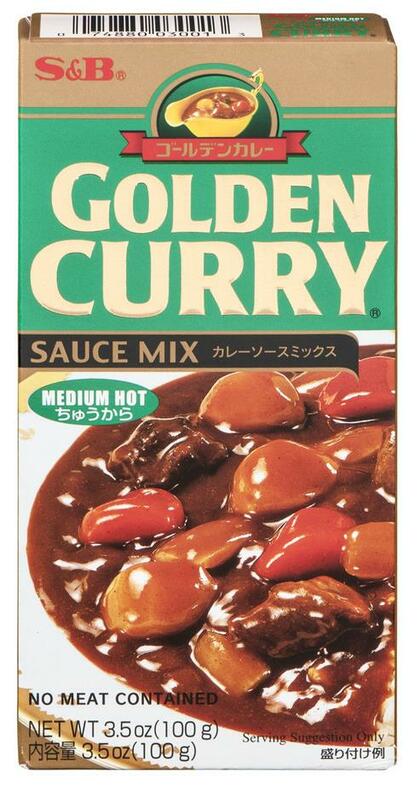 Japanese Curry Roux? What's that? This is pre-made curry roux that has been made for your convenience. This already has all of the spices and thickening agents you need. Yeah, it's pre-made, but it will be a whole lot easier than making it from scratch. Most supermarkets that have an Asian section will carry this, but just in case you can't find it (or just want to order it from your phone), we've found some at Walmart, and Amazon. However, the spice level is up to you - the links we've provided are to the medium-hot versions. Before we get started, wash your rice and begin to cook it in a rice cooker. If you don't have a rice cooker, boil the water and rice (1:1.5 ratio of rice to water) in a big pot and cover. Once it boils, turn off the heat and let it sit for at least 30 minutes, still covered. If your rice isn't done yet (or water isn't evaporated), add a bit more water, boil again, and let it sit until it's ready. Aside from the whole recipe itself, the rice cooking may take the longest time. Now, dice your veggies, and thaw the meat. Put a bit of oil in your pot, and brown and drain your meat. Set aside. (Peeling the potatoes is optional - we like the skin for extra flavor.) Using the residual grease from the meat, put the potatoes in on fairly high heat and soften. Next, put in the carrots and onions until the onions are translucent (or the carrots are softer). Re-add the drained meat, and add 6 cups of water. Also, dice (1 package of, not the whole box) the Roux in small bits, and add to the water. Boil uncovered for 30-45 minutes. When it reaches the consistency you like, serve with white rice either side by side, or right on top. Curry with Rice is fairly simple, and can use a lot of different ingredients, so feel free to make it your own. This is just a version that we like to use often, and can serve 2 people for a few days. If you have any questions, comments, suggestions, or the like, please let us know!